The rules on what you can legally tow are different depending on when you passed your driving test. 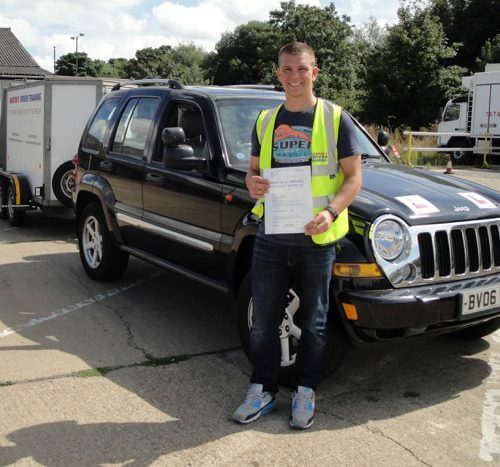 Click here to find out if you need to take a separate driving test for towing a trailer. 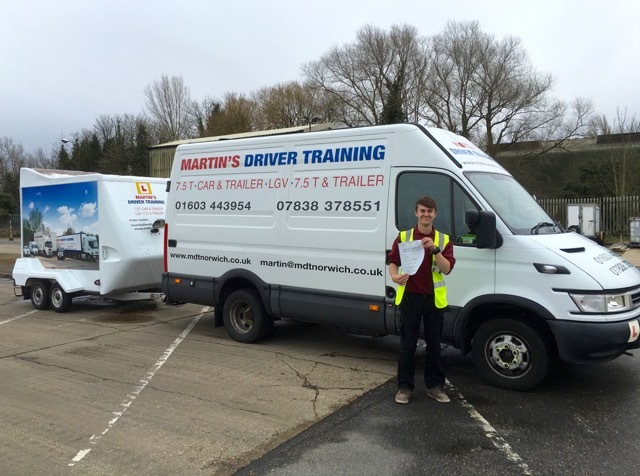 Whether you need training to be able to pass a BE test, or you already hold the licence and just want some refresher training we can help. We offer a range of courses to suit your needs and your experience. 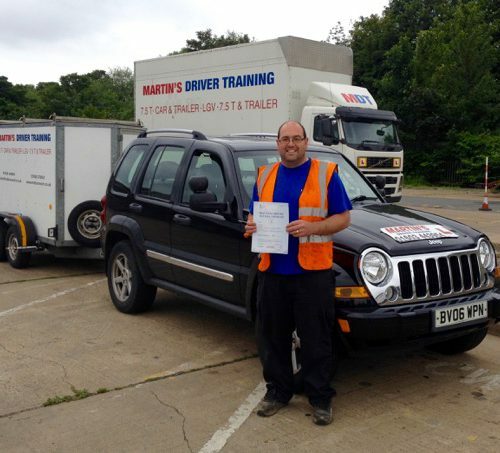 This course is suitable for someone who is confident in towing, for example if you have previously successfully reversed and towed a small trailer (e.g. a 750kg trailer as permitted on a car licence) or you already hold a tractor and trailer licence. 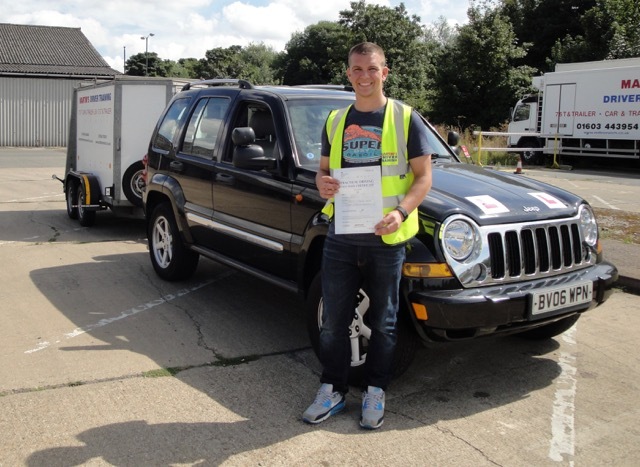 This course is suitable for someone who feels confident in their driving ability and feel that they have the ability to pick up the skills needed quickly. 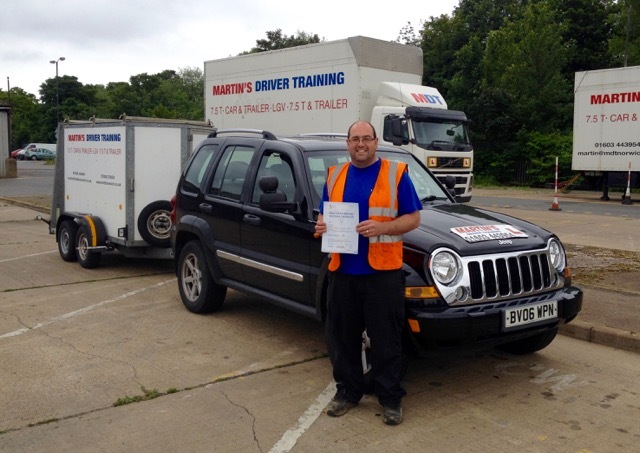 This course is suitable for any driver regardless of their towing experience. You are welcome to book two or three hours training at a time, so that you can fit training around your other commitments, then you can have a discussion with your instructor about how much additional training to take. Training can be taken on consecutive days, or if preferred, lessons can be booked two or three hours at a time to suit your schedule. If you would prefer to use your own car for the driving test, we can help you with this, but we would need to check that the vehicle is suitable for the driving test before making a booking. If you have a disability and need to present an adapted vehicle for the driving test, we will be happy to help you use your own vehicle. 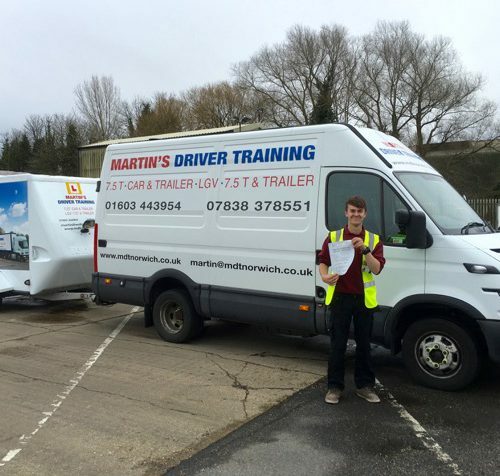 In the event that you do not pass the driving test, we can arrange practice time before a retest for you. Candidates wanting to take the C1E test will need to hold either a C or C1 licence already (If you hold only the C1 grandfather rights you will need to apply for a provisional lorry licence and take lorry theory tests. If you passed a test in a C1 vehicle you will also need to ensure that you have the correct provisional licence for C1 and trailer). If you are not sure which licence or provisional licence you hold, you can check online here. £405 + vat, plus driving test fee of £115 (total £601).